You want results. We get that. Here are the top bodyweight exercises you need to perform to start seeing more lean muscle, less flab and a better body in less time. There’s no time like the present to take your conditioning to a new level. Step off the treadmill for today and try these 10 body weight exercises to ramp up your fat burning. These exercises are fantastic because they keep you moving. Also, they can be altered for beginner weight training or advanced. Remember, using more muscle groups will burn a greater amount of calories. These 10 exercises are your ticket to being bigger, stronger and leaner than you’ve ever dreamed. This exercise is one of the best overall fat burning exercises you’ll ever attempt. If you want to improve your muscular endurance or simply jack up your heart rate, perform a dozen or more of these exercises. This exercise will work your chest, legs, and abdominals. 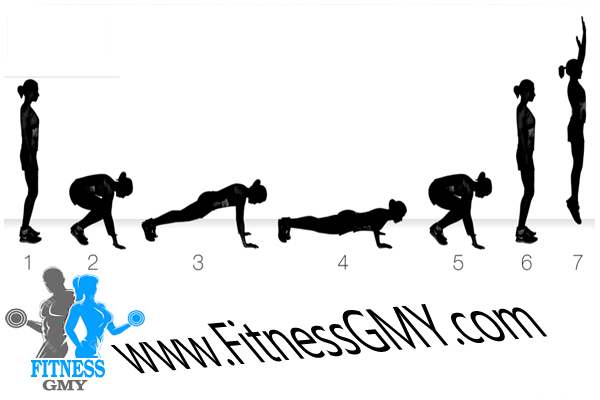 Start in a standing position and then jump down to the floor, kick your feet back and perform a push-up. Then, jump back up with your knees coming up towards your chest. Jump up by performing a squat jump with your arms up overhead. What Do I Need To Know About Burpees? These are a full body weight exercises, but you’ll feel it mostly in your legs, back, core, chest and arms. Kick up the intensity by doing them quicker. No added weight required. Also, remember to include this move at the end of a workout and perform as many reps as possible in a given amount of time. If you are a beginner at working out, aim for performing 10 burpees as fast as possible. Make sure you are not flopping down to the floor and performing sloppy push-ups. One of the hardest but most rewarding exercises for most people in the gym is how to do a pull-up. Being able to perform just one rep can be a challenge for most. Just keep working at the pull-up and you can earn a wider, more defined back and burn fat at the same time. While hanging from a straight bar or set of handles, engage your shoulder blade muscles. Keep your shoulder blades tight, tilt your chin up and puff your chest out. With your back muscles, pull up as high as possible. When your scapula is fully retracted, use your biceps to pull yourself the rest of the way up. What Do I Need To Know About Pull-Ups? The primary muscles in this exercise are the lats and biceps. Most won’t expect it, but the abdominals will also get pumped well during this movement. To make this exercise harder, you can wear a pull-up belt and attach a plate for more weight. To make it easier, most commercial gyms have an assisted pull-up machine to take some of your body weight off the lift. When beginning, if you can’t do a real pull up, just keep practicing—even if you’re only doing a partial rep. That is the only way to get proficient at this exercise. Pull-ups should be done at the beginning of a workout. 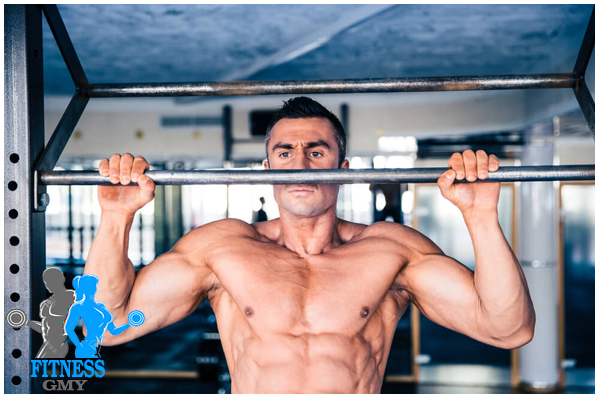 The reason is that they challenge your target muscles, but also fatigue your hands, which will ensure you aren’t using grip strength or the power of your arms to get through a solid back workout. Lunges are a fantastic exercise for making you body a fat burning furnace. If you really want to get the most out of this move, do it to exhaustion. Being able to do stationary or walking lunges in your workout will help with your fat burning efforts by harnessing more muscles and raising your heart rate. Take an exaggerated step forward or backward. Once your foot is placed out in front, keep your weight distributed evenly between both legs. While keeping your balance, descend without letting your back knee hit the ground. Drive up through your front heel and explode backwards to the standing position. What Do I Need To Know About Lunges? Your legs are the primary muscle targets for this exercise with a focus on the quads and glutes. You can kick up the intensity holding a dumbbell in each hand or by jumping instead of walking. If you are a beginner working out, really focus on the form. Don’t allow yourself to get sloppy on this exercise.